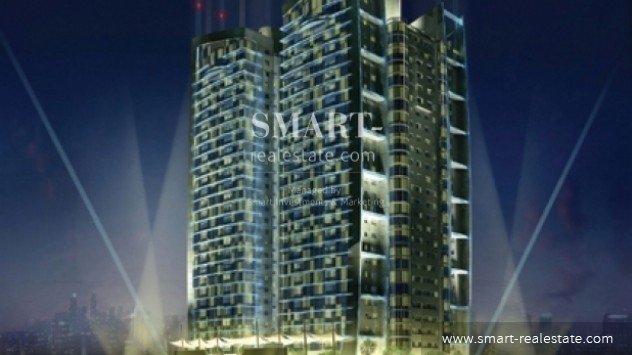 Featuring for sale is this 2 bedroom apartment in Juffair. This modern and elegant the apartment's entrance hall, lobby, living-dining room, kitchen, bedrooms, dressing room, and corridors are beautifully finished. The flooring is made up of 500 mm x 500 mm porcelain tiles of white colour plus wooden border. A 150 mm high skirting of matching colour to floor tiles is also provided. The wall is silk paint finished while the ceiling is partially silk paint finished. The partial gypsum board, cove lights or bulkheads, wherever service ducts are passing, are all painted finished. 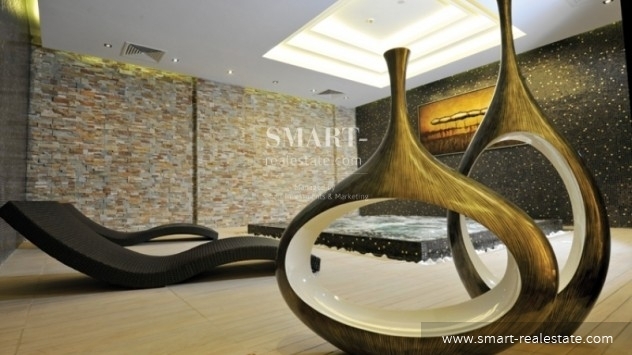 This luxurious apartment for sale includes provision for high speed internet access with future technology features. The building boasts of its 24-hour security and reception lounge, four floors dedicated to car parking, integrated security services, access control system with proximity cards and biometrics, and CCTV monitoring systems. 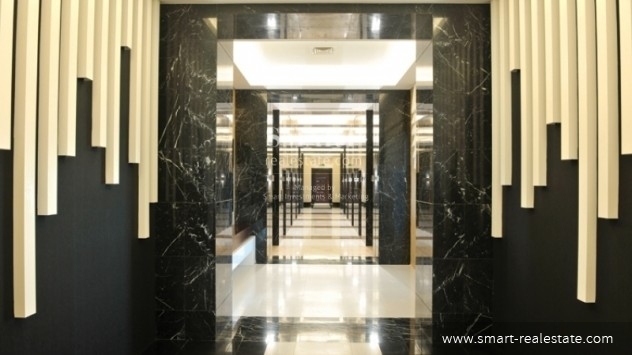 The building has six high-speed panoramic elevators plus two service elevators, two high-speed express elevators to penthouses, spacious and exquisitely designed studios, central air conditioning system with chillers and individual metering system, building management system, and a business centre. 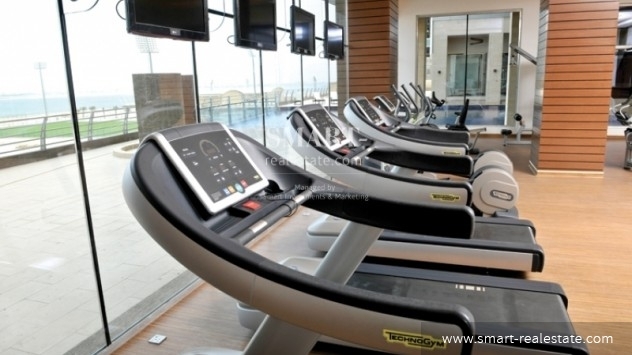 A separate male / female gymnasiums fully equipped with the latest equipment, an exclusive indoor pool, a communal outdoor swimming pool with sun deck, a health club with sauna, steam room and jacuzzi are available apart from a beauty parlour, massage centre, and physiotherapy pool in the building premises of Fontana. The recreational facilities include a restaurant, basketball and Tennis courts, squash court, indoor games room, snooker and table-tennis hall, and a recreational play area. For more details about apartments for sale in Juffair, contact us now at Smart Real Estate and our customer sales representatives will be more than willing to serve you. 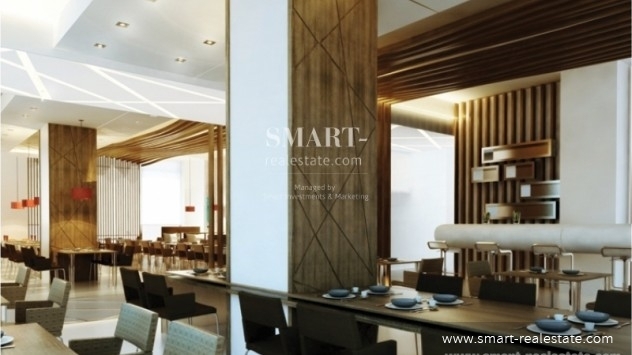 Smart Real Estate offers a listing of villas, apartments, commercial spaces, and lands in Juffair for sale. This property costs 59.5% more than the average 2 Bedrooms Apartments in Juffair area.